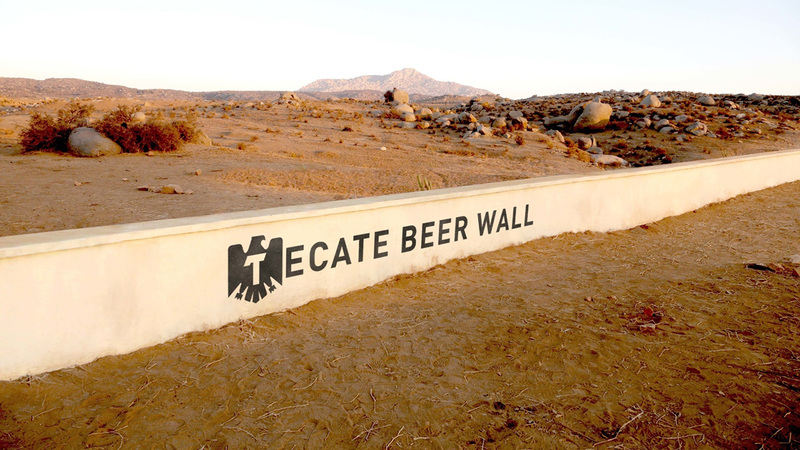 Tecate thinks building a wall between the U.S. and Mexico is a great idea—as long as it's 3 feet tall and is used as a meeting place for guys from both sides of the border (and all sides of the political spectrum) to get together and have beers. The spot below, from Saatchi & Saatchi New York, will get a perfect media placement, too. It will debut Monday night on Fox News, Univision and Telemundo during the presidential debate between Donald Trump—who has proposed a much higher, less beer-friendly wall separating the nations—and Hillary Clinton. The ad was filmed near the border town of Tecate, Mexico, where the Mexican beer originated. This is the brand's first work targeting the general market; it usually focuses its efforts on a core Hispanic target. "This is a tremendous idea for Tecate. It really is the best idea. We worked with the best clients and hired the best people to work on it. Only the best. It's terrific," Jay Benjamin, former CCO at Saatchi New York, said in a statement (possibly after a few Tecates). "Building on the insight that the wall issue is extremely important to our millennial target consumers, whether leaning more liberal or more conservative, we knew people would be watching the first presidential debate to hear each candidate's side of this important issue. We couldn't think of a better stage to serve Tecate's message of unity," said Jennifer Weiss, vp and director at Mediavest | Spark, which handled media. "We're also hyper-focused on social to ensure we're reaching legal-drinking-age adults 21+ interested in politics on both sides of the aisle to drive conversation for #TecateBeerWall efficiently." "Tecate is using beer as the great unifier in developing a fun, lighthearted and clever commercial where friends from two bordering countries share a couple of Tecates over a wall," said Felix Palau, vp at Tecate. 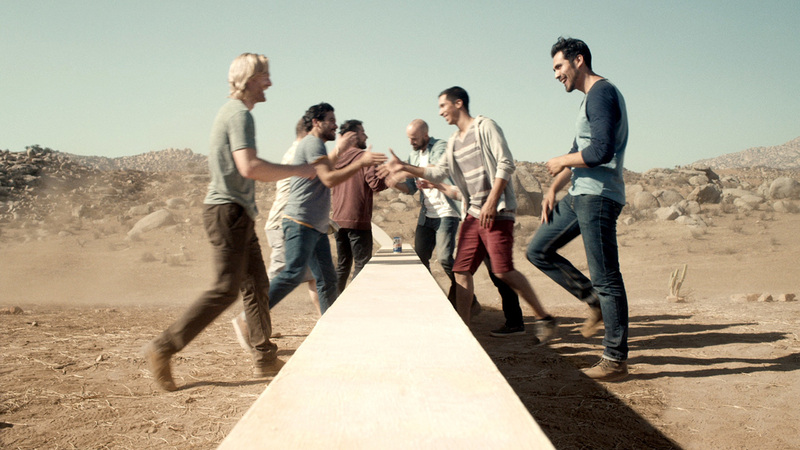 "With this spot, Tecate is acknowledging an ongoing conversation, while raising a glass to beer's uncanny ability to bring people together in a positive way."